The standards-based critical thinking activities develop the analysis, synthesis, and vocabulary skills children need for exceptional reading comprehension. 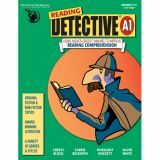 The activities are especially effective at helping children understand more challenging reading concepts such as drawing inferences, making conclusions, determining cause-and-effect, and using context clues to define vocabulary. Students read and analyze short literature passages and stories that include fiction and nonfiction genres. Then they answer multiple-choice and short-response questions, citing sentence evidence to support their answers. Reading Level 2+. 216 pages. 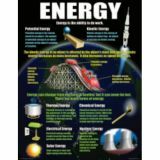 Each set contains 4 sturdy 17" x 22" posters, 4 reproducible activity sheets, and a teacher's guide. Grades 4–9. 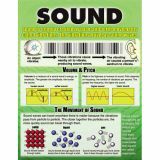 Force, Motion, Sound & Heat. The standards-based critical thinking activities develop the analysis, synthesis, and vocabulary skills children need for exceptional reading comprehension. 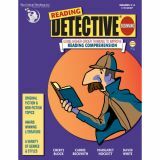 The activities are especially effective at helping children understand more challenging reading concepts such as drawing inferences, making conclusions, determining cause-and-effect, and using context clues to define vocabulary. Students read and analyze short literature passages and stories that include fiction and nonfiction genres. Then they answer multiple-choice and short-response questions, citing sentence evidence to support their answers. Reading Level 4+. 242 pages. 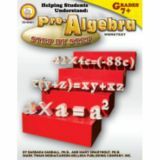 Develops competence in adding, subtracting, multiplying, and dividing integers, the foundation for success in algebra! Flexibility allows practice with any one of the basic operations or all four in combination! 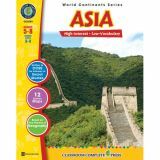 Players earn points for correct answers; the first with 30 points wins. 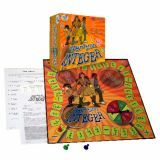 Four activity masters offer patterns and a number line model to guide players in discovering and understanding the rules of signs. 2-4 players. 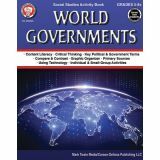 Grades 5–8+ • 80 pages Compares 13 nations and governments with detailed information about each country, discussions of current issues, and more. The perfect addition to any language arts curriculum! 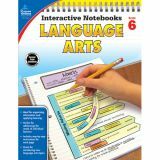 Content in each book is specifically designed to practice and assess learning from the lessons in the Interactive Notebooks. No extra prep work is needed. 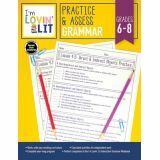 Practice activities and assessments include all necessary reading passages. 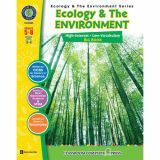 Content in each book is specifically designed to practice and assess learning from the lessons in the INBs. Students practice and master their knowledge of sentence types, parts of speech, and punctuation rules with a variety of activities. 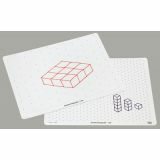 Each set contains 4 sturdy 17" x 22" posters, 4 reproducible activity sheets, and a teacher's guide.